3 times wider than the standard 4 inch plastic or nylon squeegee - This new 12" (30cm) Stainless Steel Squeegee will save you a lot of time. It simply covers a lot of area fast. 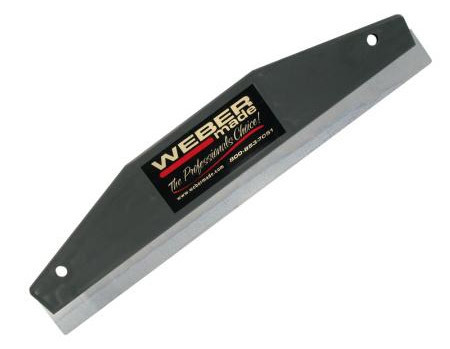 Every WEBERmade Tape Tool (above, single & double shaft units) is shipped with one FREE 12" Stainless Steel Squeegee! A true time saver, you'll love it!